Children approved sugar free recipe easy to prepare even easier to eat. 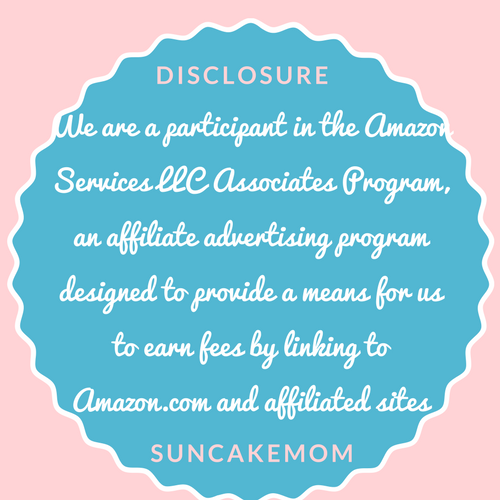 Tried and tested in the SunCakeMom Summer Baking Camp. 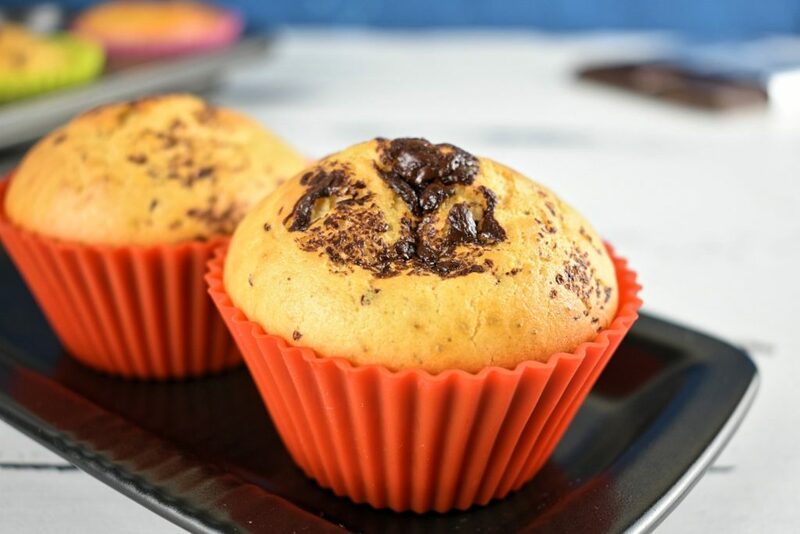 This chocolate chips muffin recipe is quite similar to the Vanilla Low Carb Muffins as they were a great success previously. So if there are any similarities with the vanilla muffins, it is not a coincidence. Preheat the oven 180°C / 365°F. 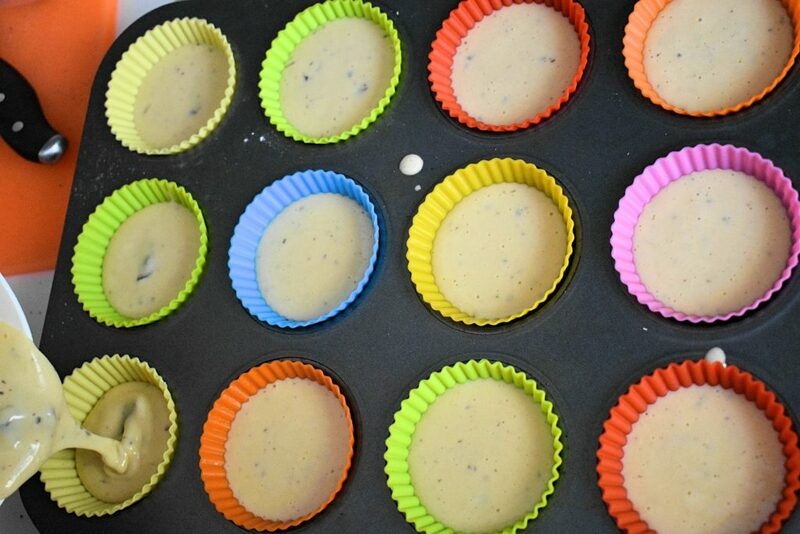 Prepare muffin tray with the muffin baking cups. Set it aside. Measure flour in a measuring cup or on a scale. Mix baking powder into the flour evenly. Break the eggs one by one and put them into the mixing bowl. Pour honey into the mixing bowl with the eggs. Beat eggs until get a light yellow mixture. It would take 5-10 minutes. Be patient. Pour in the vanilla extract as well. If we want our muffins super chocolatey this is the opportunity to mix the cocoa powder in with the eggs. Carefully fold in the flour with the eggs. If the batter is too hard to stir, put the water in alternating between the flour and the water. Finally pour chocolate chips into the batter and mix it in carefully but evenly. Spoon pastry into the muffin holders. It has to be 2 or 3 spoonful per holder. 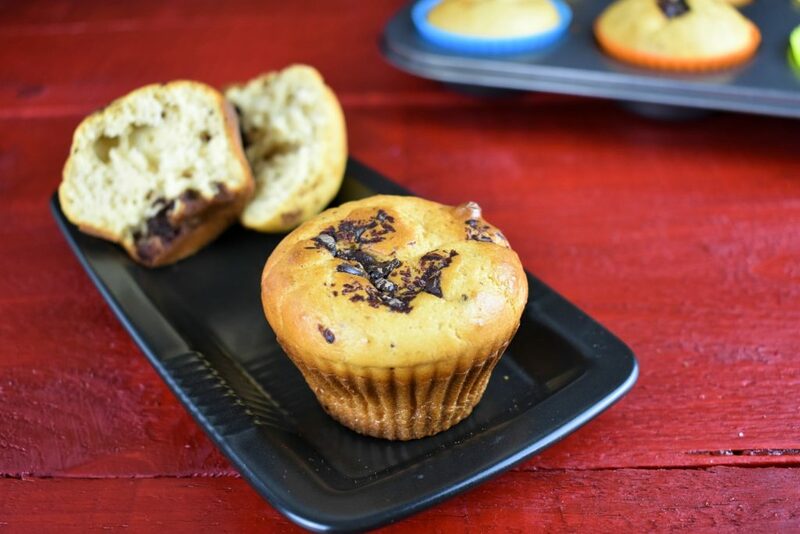 Pop muffin tray into the preheated oven for 15-20 minutes. Serve muffins hot or cold. Serve muffins hot or cold. Enjoy!